Interview with Holzindustrie Schweighofer: A policy change? 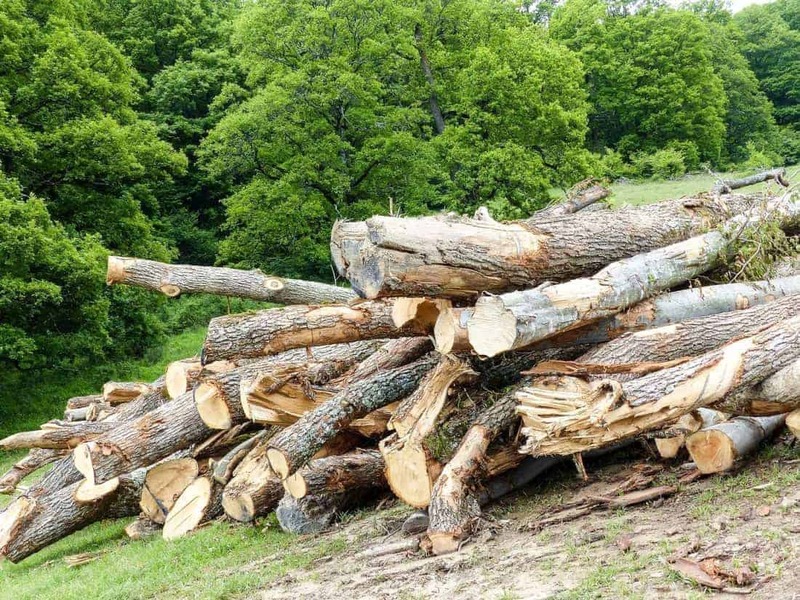 For a long time, European Wilderness Society has been following the illegal cutting of virgin forests, but also in National Parks across Romania. Holzindustrie Schweighofer was often mentioned in this context. After a suspension from the FSC (Forest Stewardship Council) and pressure by the public and NGOs, but also apparently self-awareness, HS Schweighofer began to change and modify its internal and purchasing policies and processes. We asked questions and received an astonishing and self-critical answer, which gives us hope. Yet, at the same time it shows the complexity of the problem in Romania. Questions were answered by Michael Proschek-Hauptmann, Head of Sustainability and Compliance in the Holzindustrie Schweighofer Group. Q: Holzindustrie Schweighofer has been strongly criticised since 2015, after public allegations were raised that timber from National Parks, but also from illegal logging, had entered the supply chain. A: One thing is important to say here: it is our highest principle to always adhere to the applicable laws and regulations. Now to your question: The criticism of NGOs and civil society has certainly triggered a learning process, which resulted into the insight that as a responsible company, we have to do more than just comply with the law. We have also to take into consideration fields of action where the law does not require us to do so. In this way, we have begun to analyse and work through the points of criticism that have been raised against us. Among other things, we introduced a “Zero Timber from National Parks” policy, made the supply chain transparent and traceable and introduced an Open Doors Policy for NGOs. Our security architecture for the supply chain now goes far beyond the requirements of Romanian legislation. Q: What triggered this process of rethinking? After all, Holzindustrie Schweighofer has often argued in the past that it should not be held responsible for bad protected area management. A: The intensive, partly painful, and later structured dialogue, e.g. with NGOs such as Agent Green, has certainly contributed to this. In principle, we have just recognised – here the discourse was also conducted by NGOs, such as WWF and European Wilderness Society, as well as others – that we have to do more than simply abide by the law. Q: What is the concrete situation with the implementation of your projects, in particular regarding the procurement of wood from National Parks and primeval forests? A: We welcome and understand the call for stricter protection of National Parks in Romania and have committed ourselves to supporting it. Even though – as media reports show – it seems difficult for all actors to give a 100% guarantee excluding National Park timber from supply chains. This is due to the complex situation and obviously a lot of abuse in this respect. However, Holzindustrie Schweighofer is one of the few companies that has taken precautionary measures that enable the company to identify and systematically exclude National Park timber supplies. In addition, the company has contractually obliged its suppliers not to deliver wood from National Parks. Companies that do not comply will also be suspended in the last instance. Q: However, the NGOs’ points of criticism still remain the alleged mixing of timber sources at so-called timber collection points, where the clear proof of timber origin is often not comprehensible. A: At Holzindustrie Schweighofer we do everything in our power to exclude illegally harvested timber and timber from National Parks from the supply chain. We have a strict due diligence system, which also includes the wood collection points. If our safety experts determine that National Park timber is also traded via a timber collection point (which is completely legal for timber from certain areas of the National Parks), we do not accept deliveries from the relevant timber collection point for this period. But we also admit that there are always possibilities to improve things! Therefore, in our recently published sustainability report, we have also pointed out that we want to take further steps in the area of physical traceability of timber sources at the timber collection points. Here, too, discourse with NGOs and civil society provides important help, because if points of criticism are raised, we take these as an opportunity to see where we can become better. Q: What are the next goals Holzindustrie Schweighofer has set itself for the illegal clearing of primeval forests in Romania and wood supplies from National Parks? A: We will continue to make every effort to support the Romanian state in its fight against illegal logging. And we want to strengthen the dialogue with the NGOs to the extent that we know that the process of getting better never really ends, especially in such a complex environment as Romania. We would be happy if we could stand up together with NGOs and say: after an initially difficult mutual relationship, we are now pulling in the same direction in principle: Our common goal is to operate a sustainable timber industry in Romania.